In the aerospace and defense industries, today’s contractors face increased competition for fewer funded programs. The firms that win need to be able to deliver on time, on budget and perfectly to specification, every time. Reputation for performance excellence is more important now than it has ever been. Best-in-class organizations are able to do all of that while maintaining profit levels despite taking on fewer programs. How can your company both win more programs and maintain profitability? 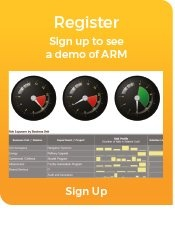 Demonstrate performance excellence by reducing unanticipated costs and schedule slippages – ARM provides a full lifecycle risk management system to proactively identify and analyze risk at the beginning of a program or project. It delivers real-time data to all stakeholders from proposal through completion and can be used to create accurate risk-adjusted schedules and complete Schedule Risk Assessments (SRAs). Optimize resources across the portfolio – ARM provides a comprehensive, real-time view of risk from across your entire portfolio of programs. Improve communication across programs – ARM makes it easier to identify and share best practices by providing a system of record for risk management, eliminating complex spreadsheets. Establish consistent processes – Demonstrate and share an integrated risk management approach with your customers, many of whom use ARM. Meet security requirements – Many programs are of an international nature, and thus ITAR security requirements apply. ARM has a unique security matrix that allows international participation in your ROM process whilst fulfilling your ITAR obligations. To learn more about these and other standards, visit the Aerospace & Defense Resources page. The majority of Tier 1 defense contractors in the US and around the world use ARM because of its proven capability in the aerospace and defense industry. Active Risk’s customers include Northrup Grumman, Lockheed Martin, General Dynamics, Hamilton Sundstrand, BAE Systems, Raytheon, SAIC, EADS, Eurocopter Thales, United Technologies, TASC, Oshkosh, BAE Systems, Moog Aerospace and many others.